Explore Shoprite's incredible savings on everyday groceries and household products, budget-beating recipes, convenient services and much more by visiting any of their 21 supermarkets in Zambia. Shoprite's weekly catalogue provides great value and many bargains for shoppers. Pickup the latest catalogue from any Shoprite store. SPAR Zambia is a self-service shop offering a wide variety of food and household products, fresh produce and local and imported products, with attractive prices in every aisle, and regular promotions. The store is provides a warm and friendly atmosphere with unparalleled customer service. 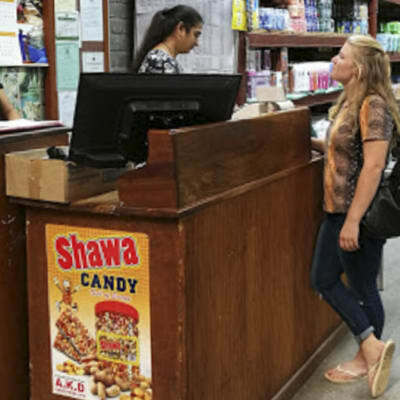 Just Halawi is a supermarket, a large traditional grocery store offering a wide variety of food and household products. The supermarket comprises fresh produce, dairy, and baked goods, along with shelves of canned and packaged goods as well as for various non-food items. Near the store's entrance, the focus is on fresh produce for customers wishing to buy something to eat, and are in a hurry including sandwiches, salads, ready made meals and juices. Further in, customers will find an array of items in the grocery and non-food section as well as essential departments of the bakery, butchery and deli. SPAR Express Foxdale strives to be the best customer service and the customers preferred shopping experience by embracing a passion for food and delivering the best in fresh, maintaining affordable prices for our range of quality products including SPAR brands and offering service second to none through an inspired team. Poundstretcher is the ideal store for customers who are on a budget but do not want to compromise on quality or style. The supermarket section offers a range of quality products at great value, with big savings on trusted brand names — everything from baked beans and sugar to soft drinks and shampoo. Do you fruit and veg shopping at Food Lover's Market if you're looking for freshness and choice. You'll also find prime local meat, fresh fish and gourmet extras - a choice of wine, olive oil on tap and a coffee beanery. And you can relax in the coffee shop, and take your pick at the salad bar, sandwich bar, sushi bar, nut bar and sweet bar.